Healthier Drinking Water in Illinois | Drinking Water Systems by Water Specialties Group, Inc.
Stocking up on bottled water is expensive and wasteful. Choose a safe, green, and cost-effective solution and consider the reverse osmosis drinking water systems from Water Specialties Group, Inc.. Whether your family is filling a pot for cooking, rinsing vegetables, or getting a glass to drink, you expect the healthy water they deserve – now you can assure it. The RO drinking water systems from Water Specialties Group, Inc. are simple, economical, and environmentally friendly! Clear Flo® RO drinking water systems filter water all the way down to the molecular level to ensure healthier, fresher water every time you turn on the faucet. These systems send contaminants and impurities, including heavy metals, fluoride, chlorine, and large suspended particles, down the drain. Only the best water makes it through the filtration to your tap! 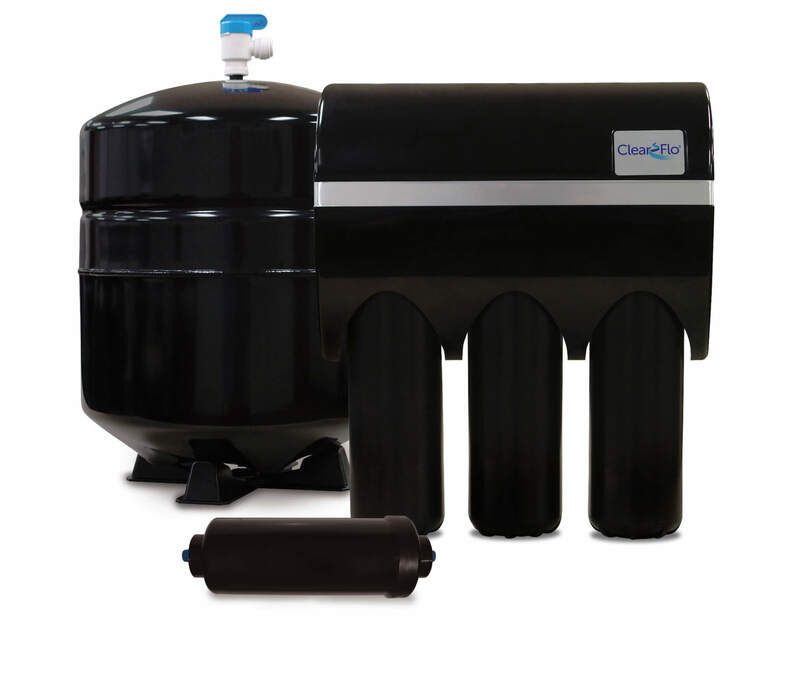 These systems will dramatically improve the quality of water throughout your home. These are complete turnkey systems that include the necessary pre and post treatment to protect the R/O, plumbing in the home, and ensure maximum performance and trouble-free operation. Additional components to the system include the necessary storage tanks and repressurization system needed for each particular home. These systems provide healthy, great tasting water, as well as, soft, smooth skin and healthier hair when bathing in this water. High-quality reverse osmosis water reduces soap, cleaning products, and cleaning time.